Its going down!!!! This Friday night at OHM as I hit the decks for my birthday bash. 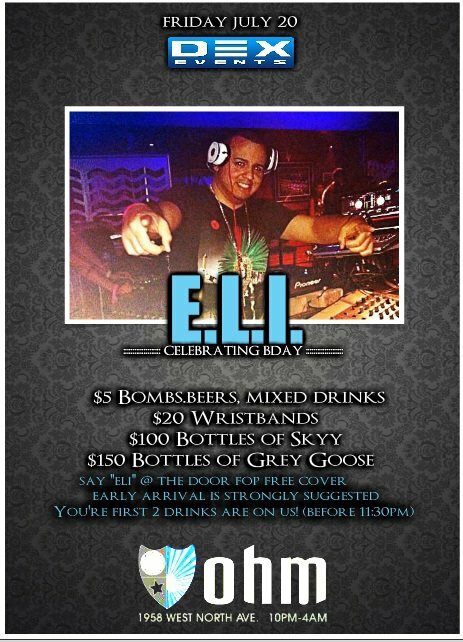 All the info is on the flyer below…Remember to say “E-L-I” at the door for NOOOOO COVER!!!!!! !